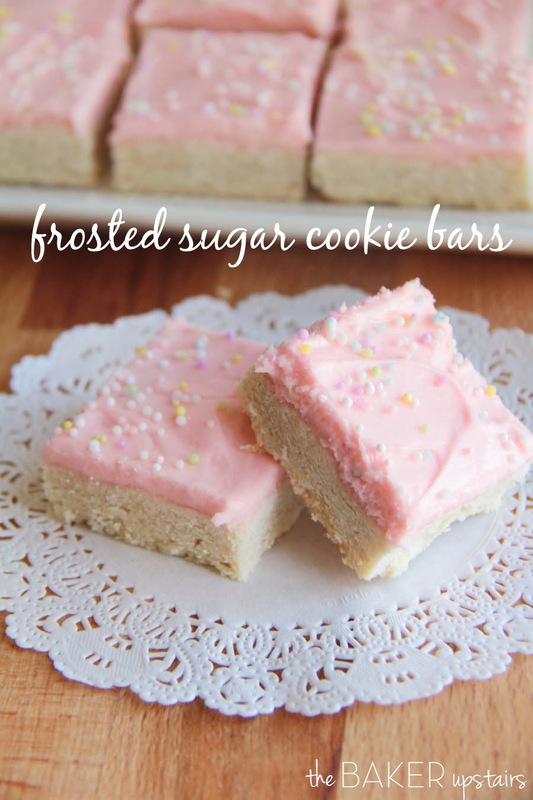 I can't believe I waited this long to try these sugar cookie bars! 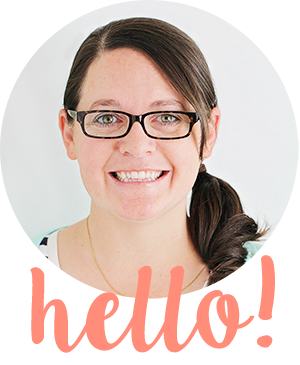 They've been all over blog land forever, but somehow I just never got around to making them. I made them last weekend to munch on while we were watching the closing ceremonies of the Olympics, and they were super yummy! Sugar cookies are some of my very favorite cookies, and these bars make them even easier to make. No rolling and cutting, so easy to frost, and super delicious! The bars themselves are soft and not overly sweet, and the vanilla frosting is sweet and creamy. I think the frosting to cookie ratio is just perfect! I also love that by making them in bars the frosting covers the whole cookie from edge to edge. They're also incredibly adorable with some cute little sprinkles on top. 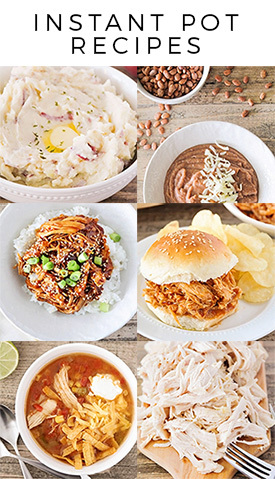 The whole family loved these (Geoff ate most of them while I was working late a few nights this week) and they can't wait for me to make them again! Preheat oven to 375. Line a 9 x 13 pan with foil and spray lightly with cooking spray, and set aside. In a large bowl or the bowl of a stand mixer, cream together the butter and sugar until light and fluffy. Add the egg and egg white, sour cream, vanilla, and almond extract, and mix until well combined. Stir in the flour, baking powder, and salt to form a crumbly dough. Press the dough into the prepared pan to form an even layer, and poke the dough every few inches with a fork so it will bake evenly. Bake17-20 minutes or until lightly browned around the edges. Cool completely. To make the frosting, beat together the butter, powdered sugar, and half and half until light and fluffy. Add the vanilla, salt, and food coloring, and beat again until fluffy. Spread over cooled cookies and add sprinkles. Cut into squares (I did 24 squares, but you can make them as big or small as you would like). Enjoy! I did this bar by the book and the bar came out dry and bland? I love this bar so yummy! I made it last year for my daughters birthday and have made it several times since and it's always delicious! Mine wasn't crumbly at all and there wasn't enough batter for a 9x13 sheet pan.